Photo Provided Area students will receive school supplies thanks to businesses and individuals. PARKERSBURG — Area businesses, individuals and sponsors donated and collected 8,280 pounds of school supplies for local schools in August. As part of the Stuff the Bus program, 459 teachers received school supplies to hand out to students in the Mid-Ohio Valley. For 15 plus years, they have been involved in back to school projects in the Mid-Ohio Valley. The program began as a sponsor to Old Man Rivers, helping stuff backpacks in the 1990s. 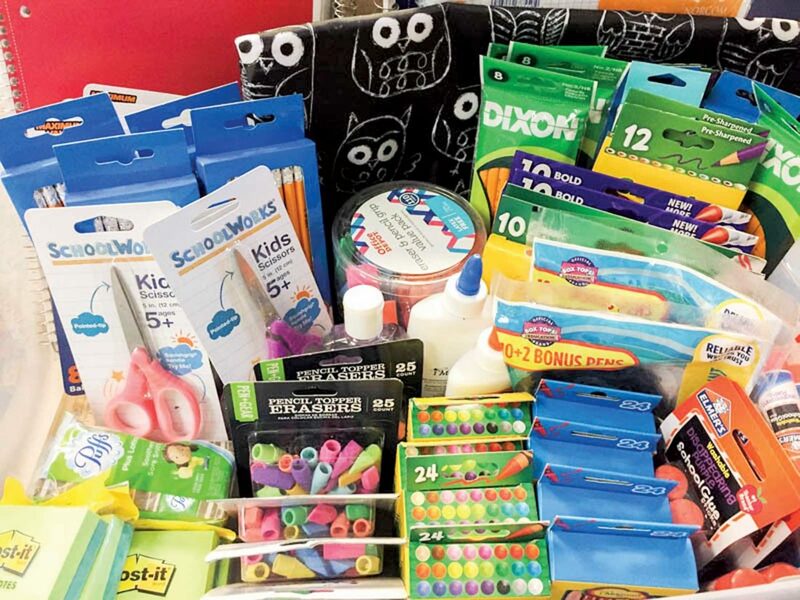 Stuff the Bus has evolved into a teacher focused project and a community wide effort that was able to collect and donate an increasing amount of school supplies this year, according to a press release. Most of the school supplies were sent to Wood and Washington County schools, along with some to Ritchie, Jackson, Pleasants and Wirt counties. Teachers, in any grade, submitted a request for participation. The supplies were obtained by collection bins located at partner businesses and also purchased by credit union staff through the donations of sponsors, members and the community. Teachers received pens, highlighters, glue sticks, glue, dry erase markers, spiral notebooks, loose leaf paper, markers, pencil top erasers, tissues, scissors and folders. They were based at West Virginia Central Federal Credit Union’s Division Street location. Teachers picked up school supplies the first weeks of August. 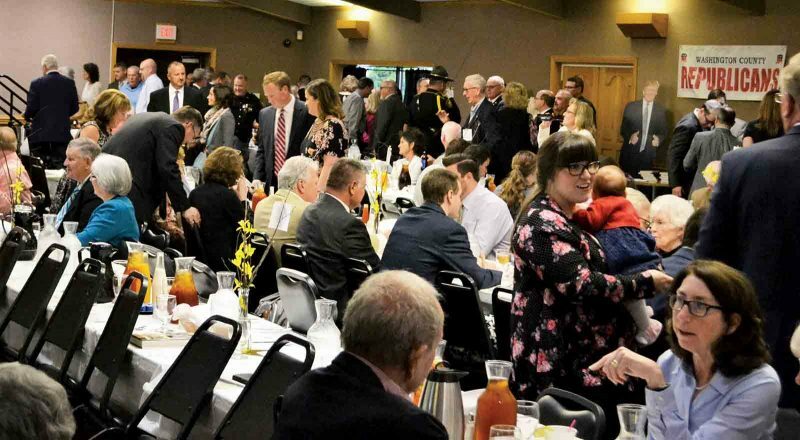 New areas were also served this year, as West Virginia Central FCU expanded its field of membership to include Washington County in Ohio; those teachers were also able to receive the Stuff the Bus benefit. 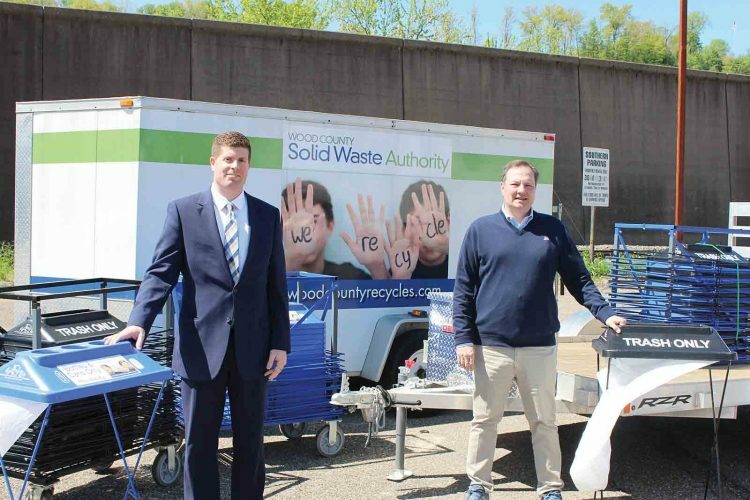 “We have individuals that donate, businesses that serve as collection sites and so many of the sponsors we work with have been faithful to the program year after year,” Bennett said. Bennett said the following were vital to this year’s growth: Erie Insurance, Pro One Electric, Mtn. Heritage FCU, QSI, DuPont, Commonwealth Financial, Approved Attorneys, Chris Feathers, MDT, Bayer Heritage FCU, Hall Drilling, Total Merchant Concept, WEE FCU, PM Company, Somerville Fabricators, S&P Harley-Davidson, Memorial Health Systems, Old Man Rivers, Bill and Janet Pursley, Wally and Paula Earnest, Sheila Vogel, Camden Clark Medical Center, Jon Six and Mestemacher. To get involved in next year’s program, visit wvccu.org or call 304-485-4523.